A smaller vegetable tanned leather belt. 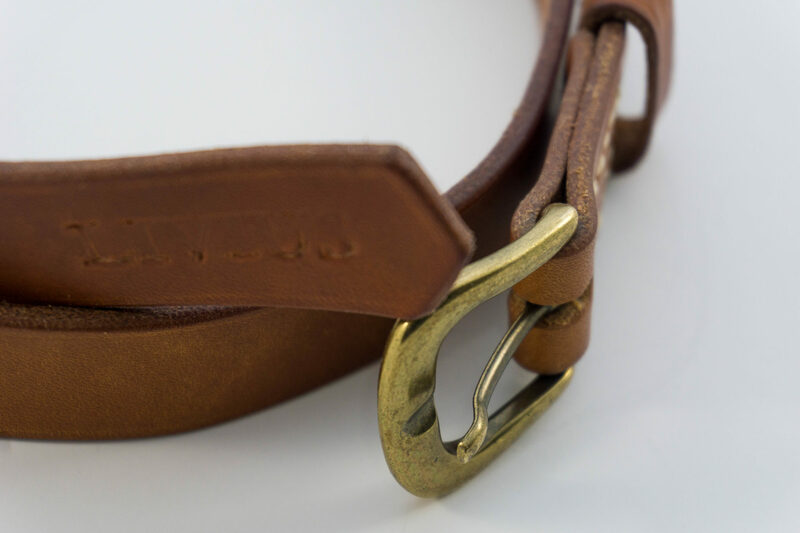 The belt is 100 cm long, hand cut, saddle stitched and hand finished. This belt has a premium quality Italian made brass buckle.